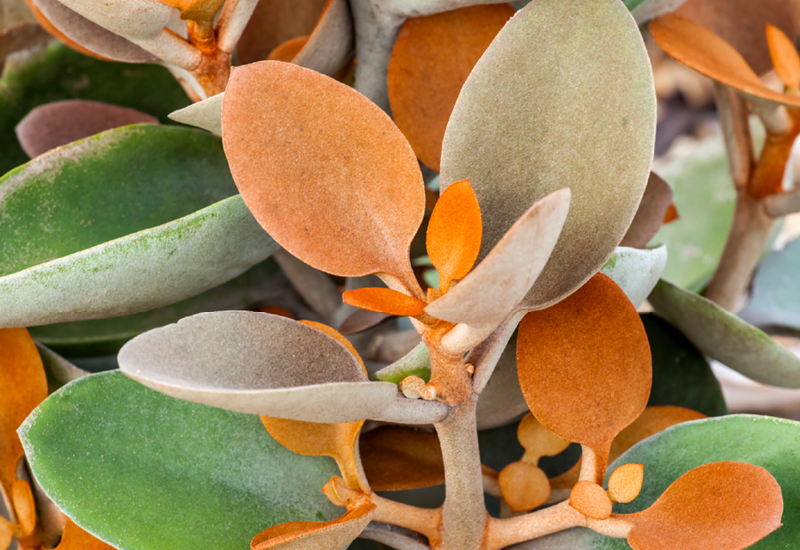 Kalanchoe Copper Spoons has amazing rounded cinnamon foliage with silvery undersides. It branches out and looks wonderful planted out in your garden as a colourful and textural contrast, or featured in a large pot. Planted up with a finer grey coloured succulent in the mix can look really effective. Kalanchoe Copper Spoons can grow to 2 metres high, but when restricted in a pot will be more compact. Buttery yellow flowers appear in winter as a pick-me-up in the cold.